South African history has been punctuated by some remarkable speeches, such as Nelson Mandela’s powerful and courageous statement from the dock during the Rivonia Trial, or, on the other side of the spectrum, P.W. Botha’s infamous Rubicon speech, which failed to deliver anticipated reforms and intensified the conflict of the 1980s. Who can forget F.W. de Klerk’s speech announcing the unbanning of the ANC and the imminent release of Mandela and other prisoners, or Mandela’s speech on the Grand Parade a few days later? 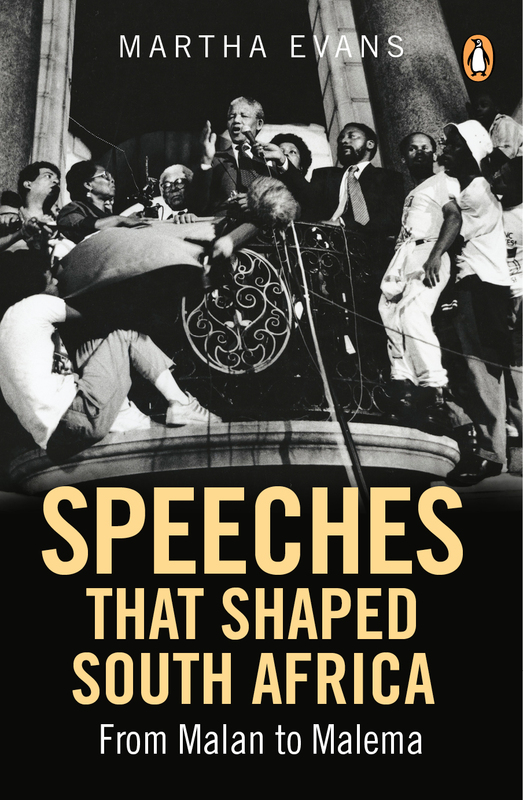 Speeches that Shaped South Africa is the first collection of these historic moments and it examines about 35 speeches from the beginning of apartheid to the present day. The book includes Harold Macmillan’s ‘Wind of Change’, Thabo Mbeki’s ‘I am an African’, Ahmed Kathrada’s speech at Nelson Mandela’s funeral, and Mmusi Maimane’s ‘Broken Man’ speech. Also included are Steve Biko, Helen Suzman, Winnie Mandela, Oliver Tambo and Julius Malema. Before and after each speech is a narrative that places it in a historical context, explains who the speaker was, and explores the effects and reception of the speech. This is a fascinating account of South African history over the past seventy years, through the lens of important figures making significant public statements.